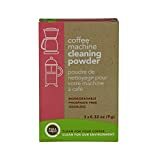 Coffee lovers know that they need to take good care of their coffee machines and accessories in order to make them last. In the case of the Hamilton Beach Brewstation, a machine that makes up to 12 cups at a time, but only dispenses them one at a time when needed, this involves cleaning the reservoir tank and the internal tank. If you’re wondering how to clean Hamilton Beach Brewstation, then look no further. We’ll go into some depth here. The first step in cleaning your machine involves gathering the right supplies. You’ll need some microfiber cloths, a pot or bowl that fits into the space designated for coffee cups, and a cleaning solution of some sort. You have a choice when it comes to the latter. Commercial coffee maker cleaners work well, although you can use lemon juice diluted in water or vinegar as well. All of them will remove any build up from the inside of the machine. Next, you’ll want to slightly dismantle your machine. Take the plastic filter basket out and, if you have one, remove the water filter. Not all Brewstations have them, so you might be able to skip this step. 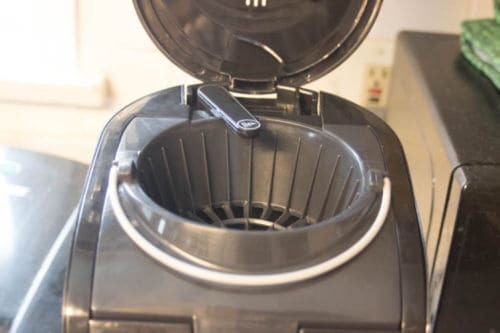 Depending on your chosen method, proceed to start cleaning your Brewstation.This involves adding the cleaning solution – whether it is commercial, lemon juice, or vinegar – to the water reservoir. If you’re using a commercial solution, you’ll need to follow the instructions on the package. For lemon juice or vinegar, add one cup of either one (please don’t use both at once) to the reservoir, and then pour water on top of it. The liquids will mix together to create a cleaning solution. After you’ve added your cleaning solution, turn your Brewstation on, let it run for about 30 seconds, and then quickly turn it off. This heats the water up slightly. You’ll need to wait about half an hour for the water to cool off entirely before moving on the next step – running a full “coffee” cycle, which pulls the cleaning solution through the machine, taking out any debris. Make sure to dispense the dirty water into the bowl or pot, and not let it sit in the machine. Once this is done, run the coffee maker again with just water. This ensures that all of the interior components have been properly rinsed. Finally, you’ve reached the last step. Remove the drip tray from the machine and wash it and the plastic filter basket with soap and water. Once they’ve dried fully, put them back on the machine and your work is done.